There’s still time to enter the Arbordexperts Trex Installer Awards, with two months left to submit your decks for consideration. To give you some tips, we’ve asked our judges exactly what they’re looking for from the entries. Read on to find out! We’re lucky enough to have a diverse and knowledgeable judging panel casting their professional eyes over the entries we receive. First up is Sarah Francis, decking category manager at Arbor Forest Products – one of the UK’s biggest timber importers, and parent company of Arbordeck, the only UK distributor of Trex Transcend. Sarah has been involved with Trex in the UK for over two years and knows the product inside-out, and her role gives her invaluable insight into how Trex is used across the world. Has it created a lovely new outdoor space? Does it inspire other people to have a Trex deck installed? Has the installer done something different that we’ve not seen before? Has the owner of the deck added items to make it look homely? Trex’s market manager, Alan Hodkinson, is the second judge on the panel, and has worked with the composite decking brand for 18 months. Through his work campaigning for UK merchants to become Trex stockists, and championing the TrexPRO scheme in the UK, Alan has gained a great deal of knowledge of Trex installers and installations which gives him a keen awareness of what makes a great Trex deck. Have they installed it correctly, with the correct fixings and gapping around the board? How advanced is the install – does it have mitre joints, does it have any patterns or formats? 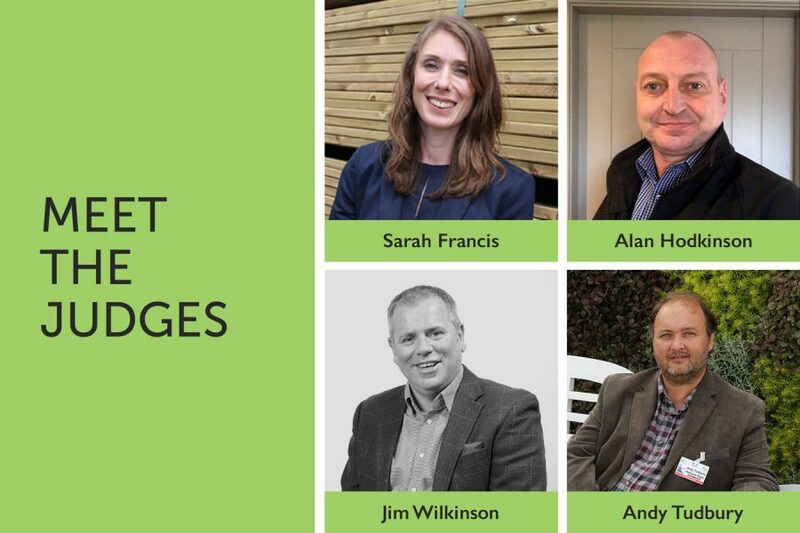 Joining Sarah and Alan on the judging panel is Pro Landscaper Magazine’s managing director, Jim Wilkinson. Jim’s 14 years’ experience in the sector and his stewardship of Pro Landscaper has given him a keen sense of what excellent landscaping looks like, and he will be particularly keen to see installations which fit seamlessly or perfectly complement their surroundings. So, what is Jim looking for in particular? Does the design match the environment its situated in, and does the finished deck sit comfortably in its setting? Does the choice of products used suit the client’s requirements? And finally, completing the judging panel is Andy Tudbury, founder and designer at Halcyon Days Garden Design, who recently founded The Belvoir Flower and Garden Festival and is a regular star of BBC Gardener’s World Live. Completing your entry form shouldn’t take more than a few minutes – just make sure you attach photos when you send it over! And for more hints and tips on entering your decking, why not read our FAQs?